Romelu Lukaku scores a brace in his debut for Manchester United as the home team thrash West Ham United 4-0 at Old Trafford. 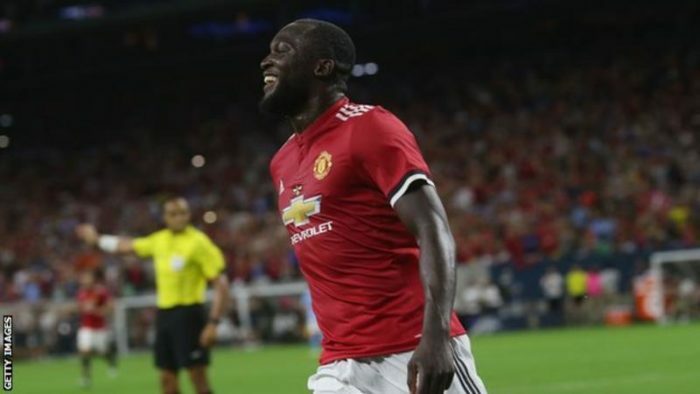 Lukaku scored his opening goal on 33 minutes and doubled it on 52 minutes to begin his account of goal haul for United. Anthony Martial made it three goals for United as he slotted home on 83 minutes. Paul Pogba completed the rout on 90 minutes with a goal to give United 4-0 lead, three points and climbed to the top of the table.